Notes from the Toybox: Being too hard on your kids - WHY do we do that? It's been a fairly busy and tough start to the year, and after a christmas holiday fraught with lots of "Big Shouting Days" we're almost back to our usual routine. School, Work and those tiny treasured moments at home. Both being at work full-time makes it really tough when we do get time with Princess C because we often find we have to fit in homework, housework and still somehow cram in a bit of time to slow down and - most importantly - wind down. We're spending way too much time being hard on C (me more than my other half). I think most of it comes from knowing how bright she is and wanting her to show that to the rest of the world (particularly her teachers). But at times, homework feels like a constant running battle of wills. 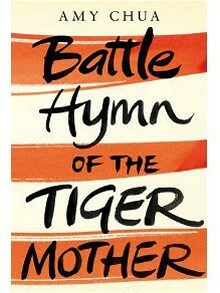 I'm reminded of Amy Chua's book "Battle Hymn of the Tiger Mother" which I haven't read but heard more than enough from my other half who HAS read it to make me think that being hard on a kid, stripping away their childhood to turn them into some sort of an academic whizz kid will just end up making them resent all that parental pressure. There's the air of silent competition at school in Princess C's class. She got a fantastic report last time round, and when we asked her teacher recently if she noticed any changes in her behaviour, the teacher said no. So it really makes me think that we've got to throttle down, stop pouring on the pressure and start enjoying those moments like last night where she was such a happy little soul, deeply involved in a game where she was on holiday, soaking up the imaginary sun while laying on a blanket on the lounge floor - wearing her sunglasses and walking a dog like a caricature of Holly Golightly in "Breakfast at Tiffany's". There's no hurry, there's acres of time before homework stops being voluntary and starts being mandatory so sometimes it makes me feel like binning the lot, flicking the Vs at 'competitive parents' and letting her enjoy her childhood to the max.